1, The aluminum frame connected by specialized fastenings creates stable performance and precise cutting. 2, Equipped with stepping motor, suits to cut the specially designed figures with requirement of adjustable speeds. The cutting precision can be 0.5mm. 3. Equipped with a piece of 3KW transformer, adjustable power output ranges from 0 to 70V under electrical control. 4, 20 pieces cutting wire can be set at one time, which increase the production of capability. 5, With function of cutting stroke protection: when exceeds the regulated cutting stroke, the machine can stop running automatically. 6, With 17” Screen and brand computer, the machine realize the design & cutting, all software for drawings and cutting are English version. 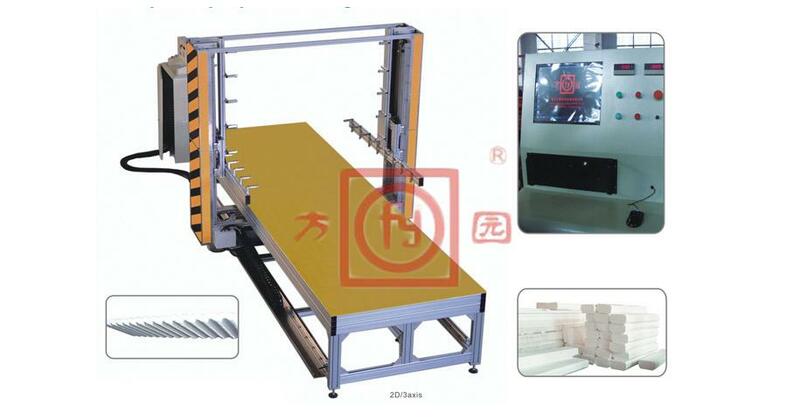 It is easy to understand cutting, automatic clearance compensation system, which keep accurate and convenient cutting. 7. For the rotation platform is optional, achieve to 5 axis cutting. Note: The cutting machine in special specifications can be customized according customers'''''''''''''''''''''''''''''''''''''''''''''''''''''''''''''''' requirement.